Well the rain keeps coming though we've had a bit of sun and managed to get outside for a few walks. It's been a funny year with the people seemingly scared to spend any money on anything but food and petrol. It's making it hard for small businesses to survive and yet the country seems to have moved out of recession. Some of the big shops are disappearing though and we've just lost Comet, one of the big shops that I have used often over the years. It's difficult for all businesses, but don't forget us small local firms. We intend to keep going , but it isn't easy! We've sold a few instruments and will try and get a few more in stock. People are demanding higher adn higher prices for their unwanted instruments so it's getting harder for us to find bargains to pass on to you. Let us know if you are wanting something in particular. 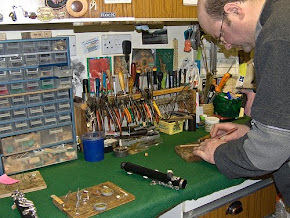 As ever, we're here to service your instruments and do those necessary repairs. 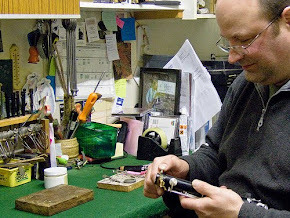 Generally speaking your instrument should be services about every 18 months. Keeping an instrument regularly serviced helps prevent wear on the keywork and ensures the instrument is in good playing order. If you have difficulty on certain notes or keep getting squeaks, it may well be down to the instrument developing leaks.